Slow Food (Singapore) celebrated Terra Madre Day 2014 on Saturday, 6th December 2014, with a Tasting Trail to two Traditional bakeries who were awarded Slow Food (Singapore)’s Heritage Heroes Award. 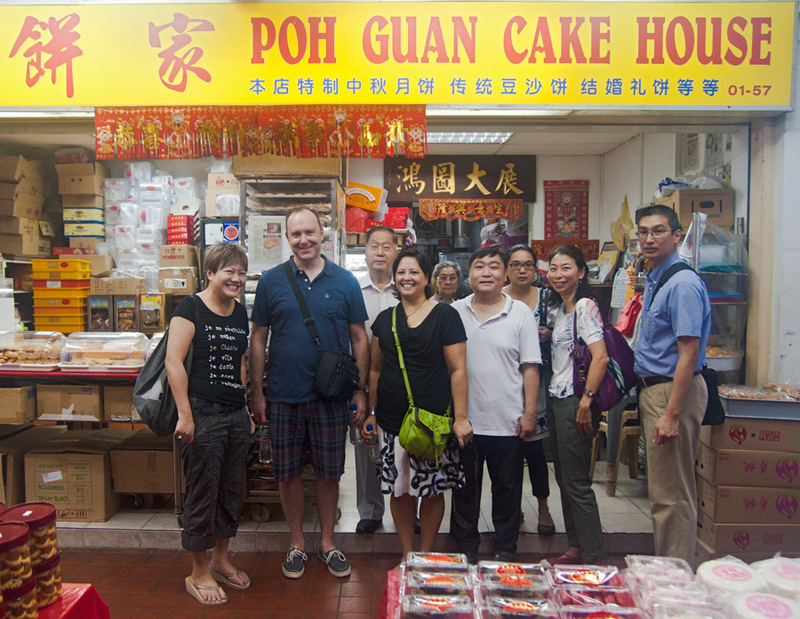 Slow Food (Singapore) members with the 2nd & 3rd generation family members of Poh Guan Cake House. Copyright © 2014 Christopher Tan. All rights reserved. The first stop was Poh Guan Cake House, founded in 1930 and now operated by the 2nd and 3rd generations of the Chan family. Mr Kim Ho CHAN, the patriarch from 2nd generation who has been running the bakery since 1958, spent some time explaining the history and the techniques involved in making tradition Teochew baked goods and confectioneries. Slow Food (Singapore) members also had the opportunity to try their hands at making some of the baked items, and tasting a range of items. Rolling out pastry dough for “Wife Biscuits”. – Copyright © 2014 Christopher Tan. All rights reserved. 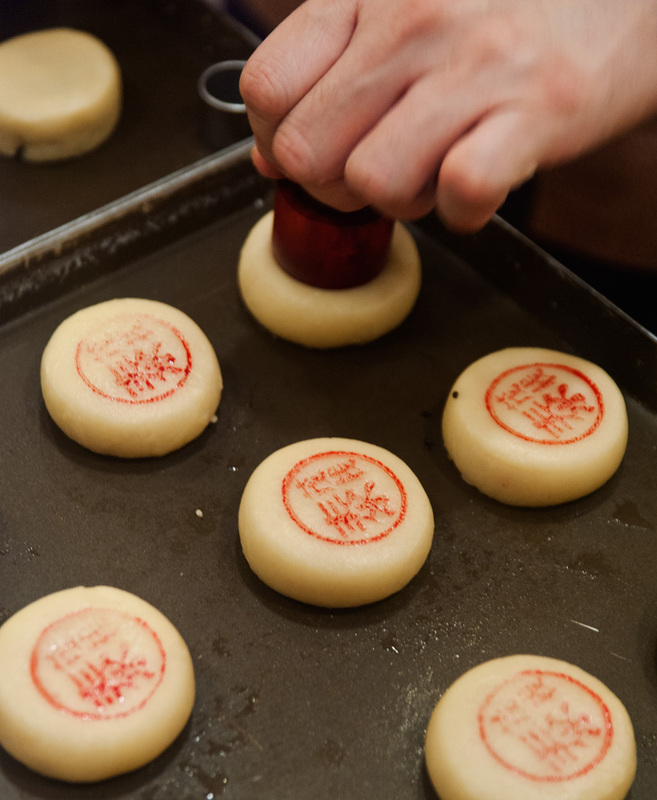 Slow Food (Singapore) member Tabitha Manresa rolling out a “Wife Biscuit”. – Copyright © 2014 Christopher Tan. All rights reserved. 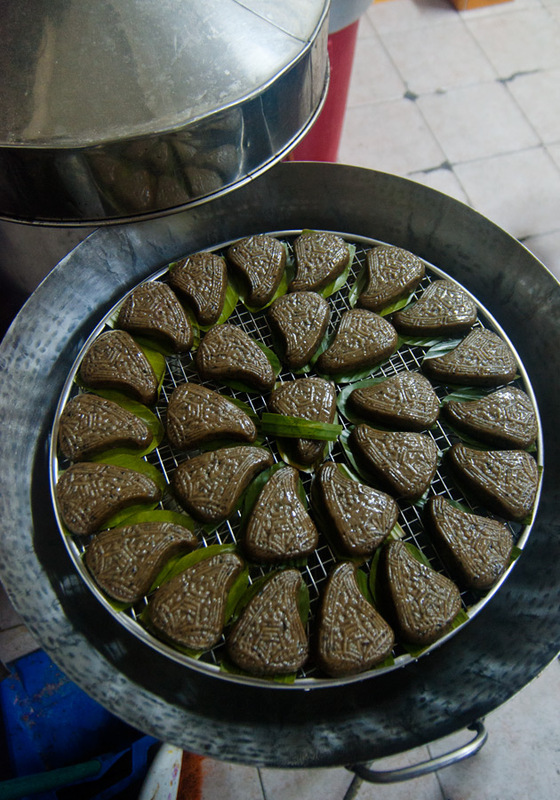 A freshly steamed tray of “Chi Kak Kueh” – Copyright © 2014 Christopher Tan. All rights reserved. 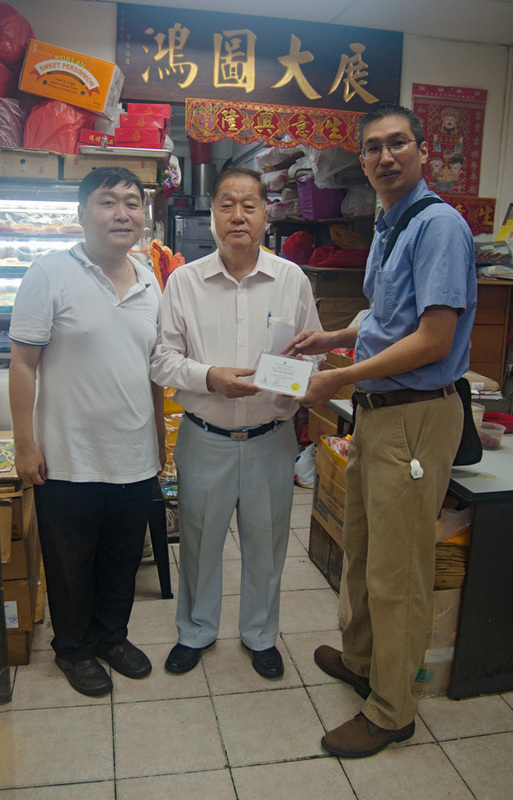 Presenting a plaque to the 2nd and 3rd generation Chans at Poh Guan Cake House – Copyright © 2014 Christopher Tan. All rights reserved. 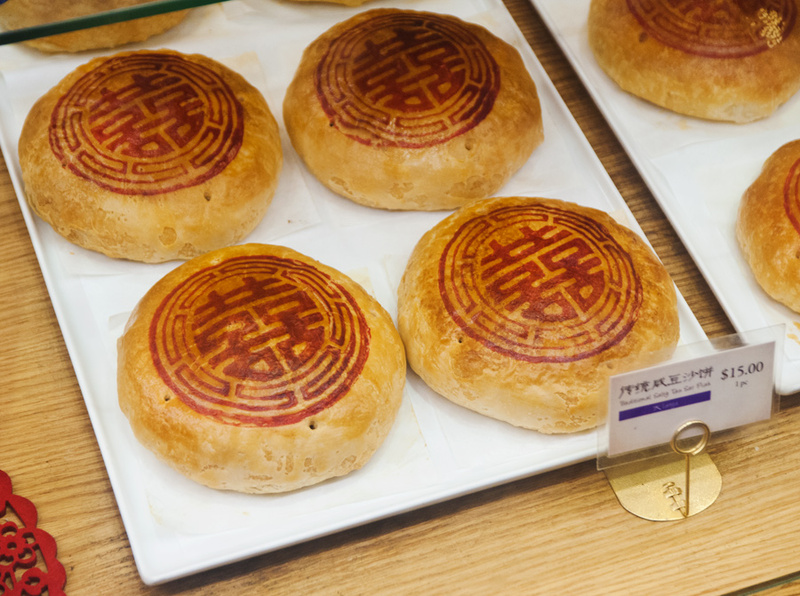 The second bakery Thye Moh Chan, was founded in 1943, and was sold in 2011 to entrepreneur George QUEK. 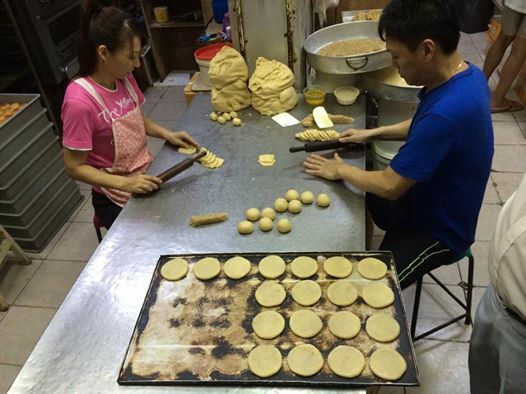 Here, the senior baker, Uncle LAI, demonstrated the making of traditional Teochew Piah, a type of baked pastry. 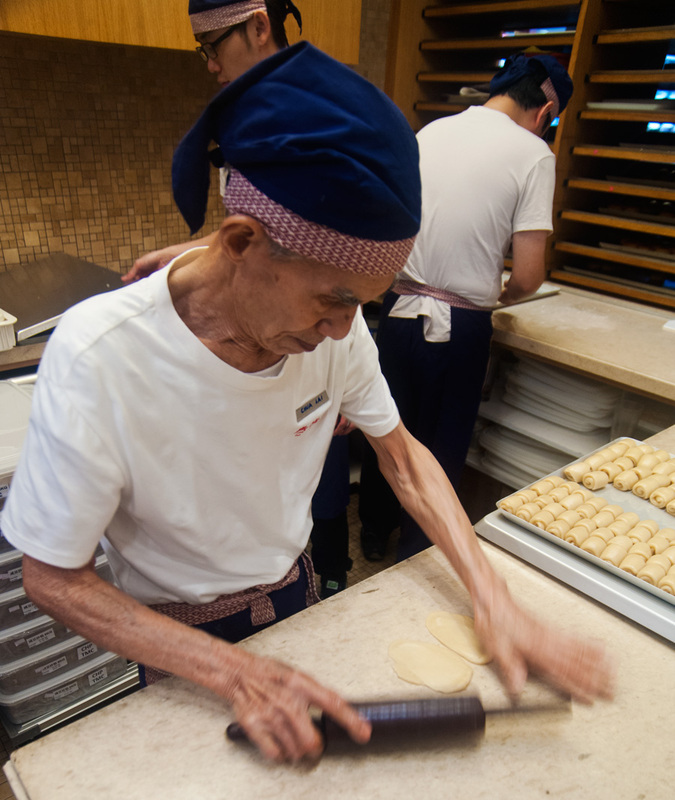 Uncle Lai rolling out pastry dough for traditional Mung Bean “Piah”. – Copyright © 2014 Christopher Tan. All rights reserved. Stamping Thye Moh Chan’s seal on a “piah”. – Copyright © 2014 Christopher Tan. All rights reserved. Thye Moh Chan’s Traditional Salty Mung Bean Piah. – Copyright © 2014 Christopher Tan. All rights reserved. 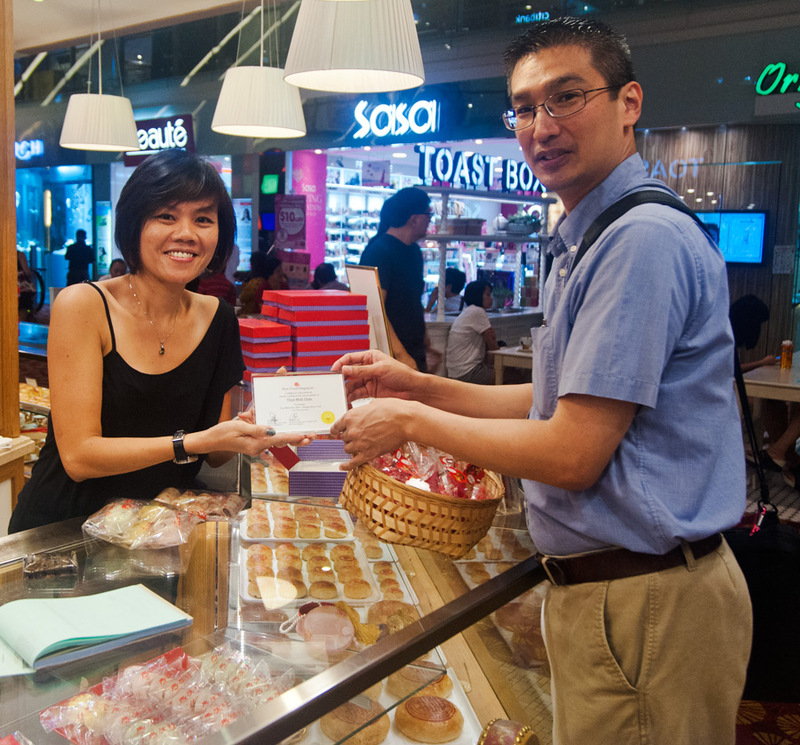 Presenting a plaque to Ms Jenny Yip, Manager at Thye Moh Chan – Copyright © 2014 Christopher Tan. All rights reserved. All members that attended the event had an educational and fun time listening to the stories and experiencing the warm hospitality of the two Heritage Heroes. Maskitto Light WordPress Theme by Shufflehound. 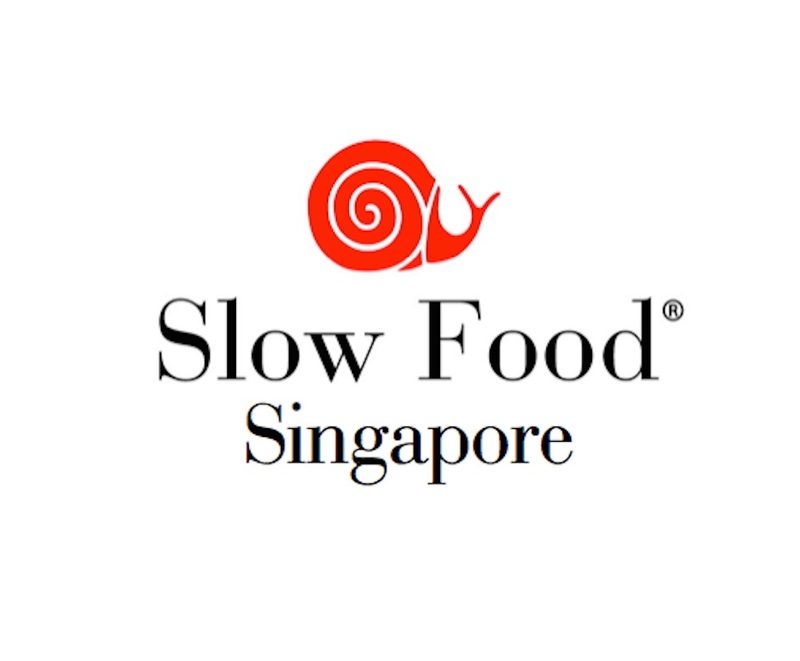 Copyright © 2013 - 2015 Slow Food (Singapore). All rights reserved.